Delicious beer is delicious. 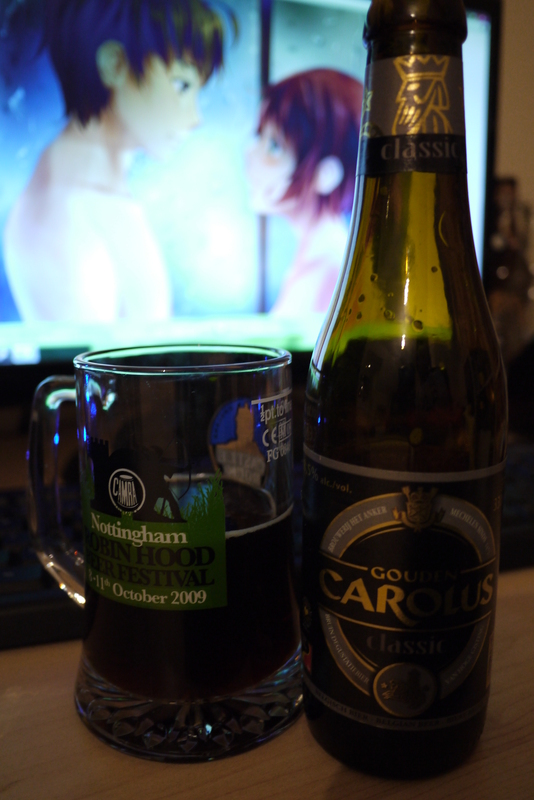 Here we have Gouden carolus classic from Het anker brewery standing at a lovely 8.5%. At first the aroma reminded me of coffee, then I was like, no it doesn’t. It is more of a chocolate, perhaps even a chocolate cake kind of smell. With dark sugar and quite maltiness making an appearance. The taste is very simular to the aroma and really dwells well, it is very balanced and very tasty. There is some berry like notes to it as well. Has a low carbonation and for me that is so good. The texture is nice and smooth though not oily. The aftertaste is superb, a real sweet yet subtleness. It doesnt hang around your mouth as much as you would want it to, so you end up drinking more frequently, wish I had a second bottle. So far this might be the leader of this year advent calendar. Complex, tasty, well balanced and addictive.